This is my go to neighborhood spot to see friends and meet colleagues. 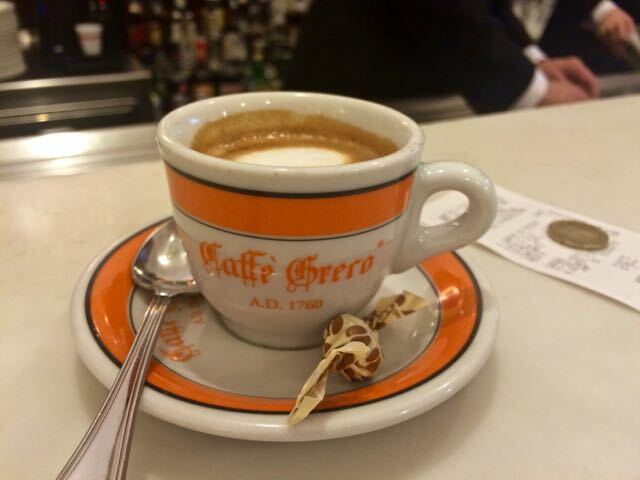 If you have ever met me for a cup of coffee (or maybe a negroni) you probably have met me here. 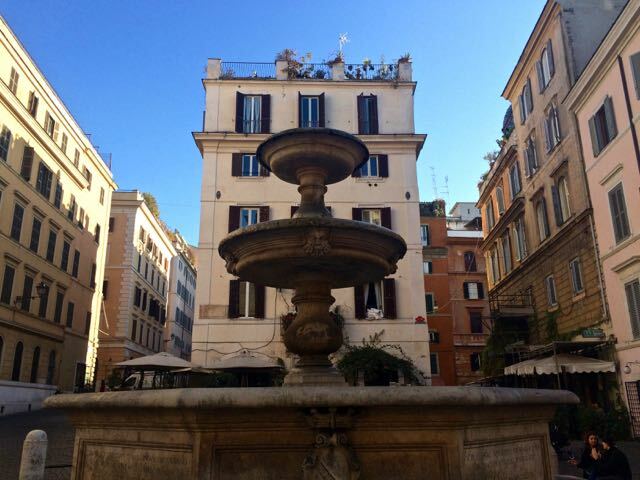 With lots of tables under a vine covered patio you can sit outside with a view of the Piazza Madonna dei Monti and the 16th century fountain at it’s center almost year round. There is a cozy inside room on the rare days it is too hot or too cold to be outside. Barely open a year this has become a regular in my rotation. 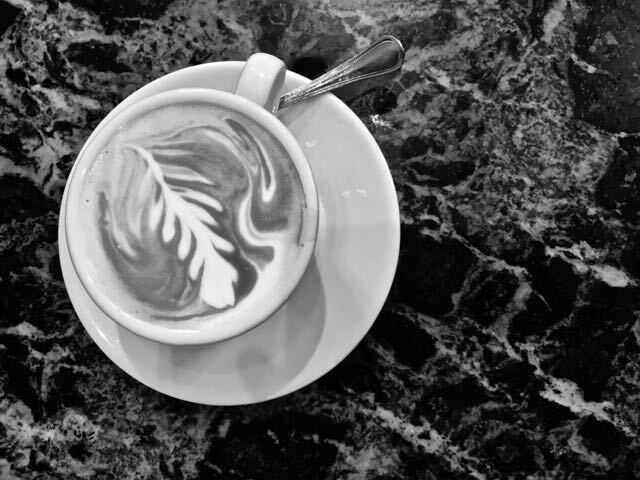 Slim and stylish is an offshoot of the ever expanding Roscioli empire that serves both as an excellent quick grab a cappuccino on the way to yoga and also take your time single estate pour overs and Chemex artfully served by young and friendly baristas. 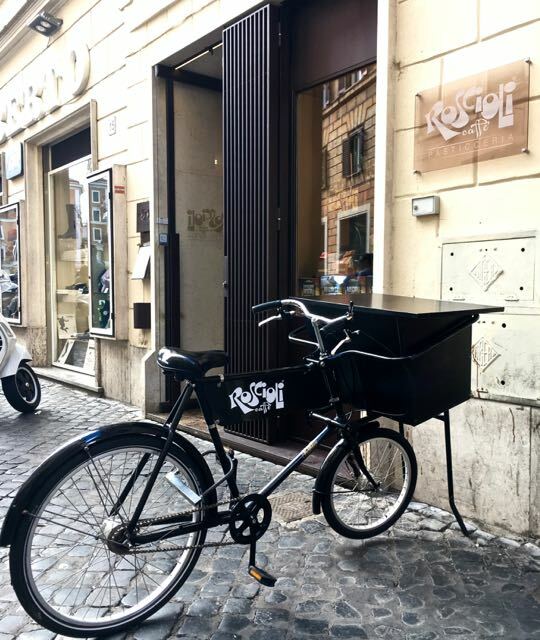 The pastries and sandwiches here are a notch above regular Roman bar fare. There is a small room in the back wth a large communal table if you would like to sit down. In the days in-between Christmas and New Years the three of us take long long walks all over the city. 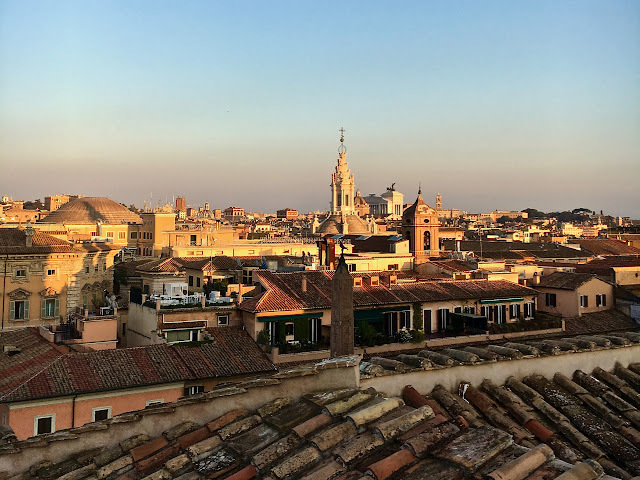 A favorite route is a late afternoon stroll through Piazza Venezia where the Christmas tree is and along the via del Corso under the lights that are hung the entire length of this 1.5 kilometer shopping boulevard. Cafe Greco is an essential part of this walk. We sit in the far back room where the walls and banquets are covered in velvet and sometimes there is someone playing the baby grand piano and we order big mugs of hot chocolate piled with cold whipped cream and short cups of strong espresso before we trek back towards home. 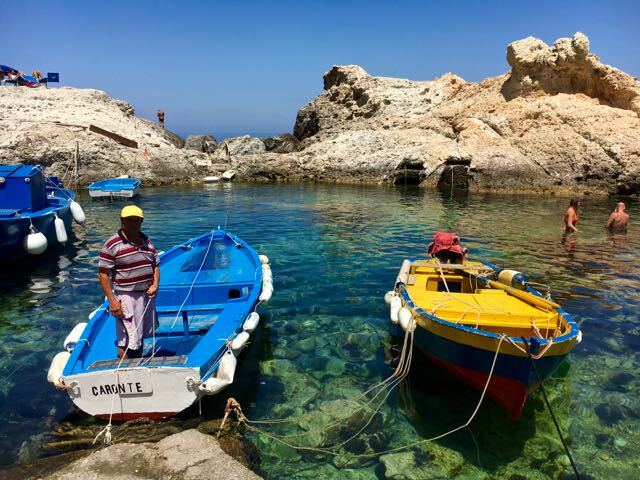 It doesn't have to be Christmas to visit Cafe Greco. It is an elegant stop no matter what time of year. Regoli is my absolute favorite pastry shop in town. 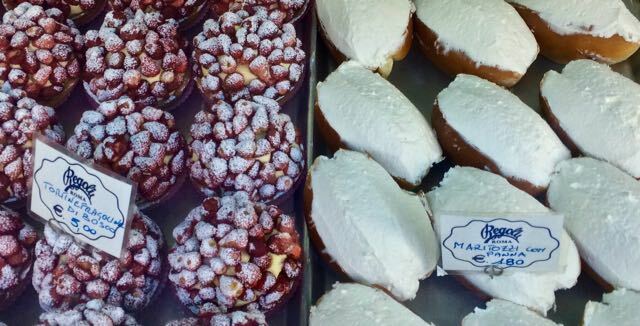 I try really hard not to go there very often because the pastries I love are filled with mountains of sweet whipped cream, particularly the very Roman maritozzi. A maritozzo is a sweet yeasted bun that is spit and filled with whipped cream. Next door to the legendary pastry shop is a gelato shop and bar. You can order your pastry and bring it next door, order coffee and sit at one of the high tables in the back. At the bar there are almost always a tray of maritozzi, in two sizes. Last summer I had my first nitro coffee ordered from a counter inside the small grocery story in Chilmark. I loved the smooth, cold brew. Here is Rome cold coffee is a summer thing and until now only available as a shakerato, a cold, sweetened, shaken espresso served straight up in a martinis glass. 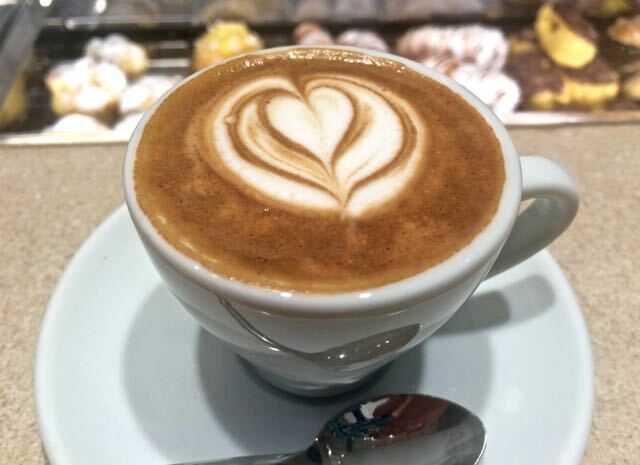 This new cafe next door to the vatican has brought nitro brew to Rome. Something I am quite happy about. 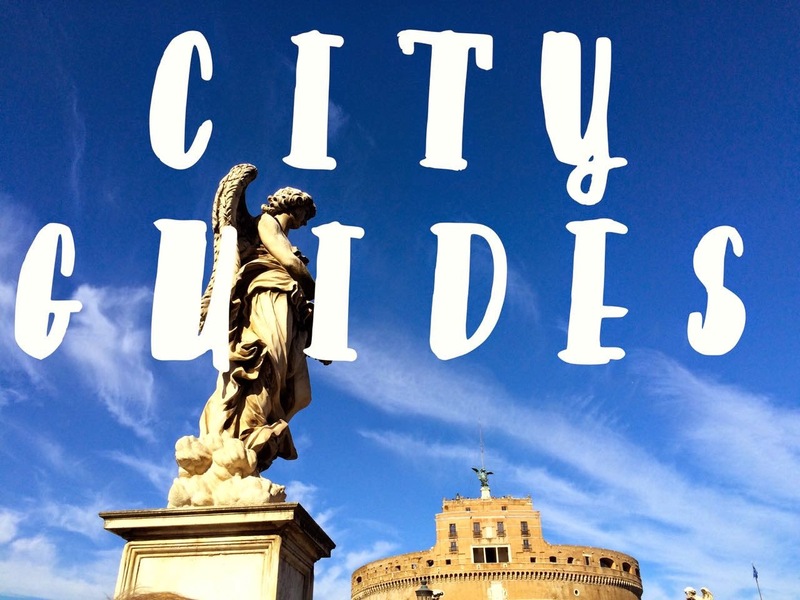 Rome is an easy city to find your way around and stopping for coffee while you see the endless number of sites here is the best way to recharge. You can make the most of your time by using public transport. 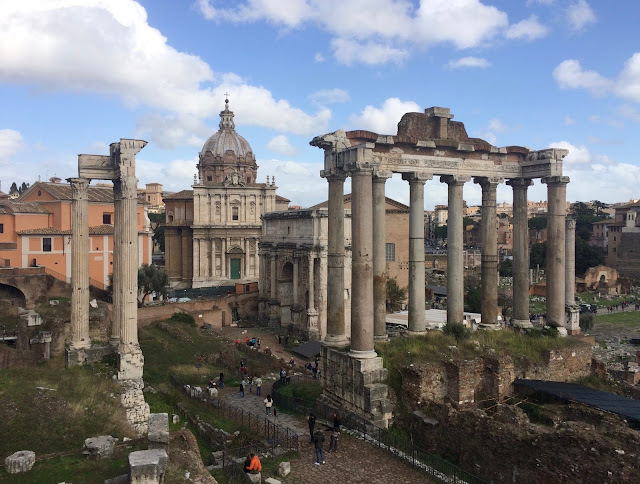 There are a number of bus lines and two underground metro lines that connect the outer reaches of Rome to the historic center. 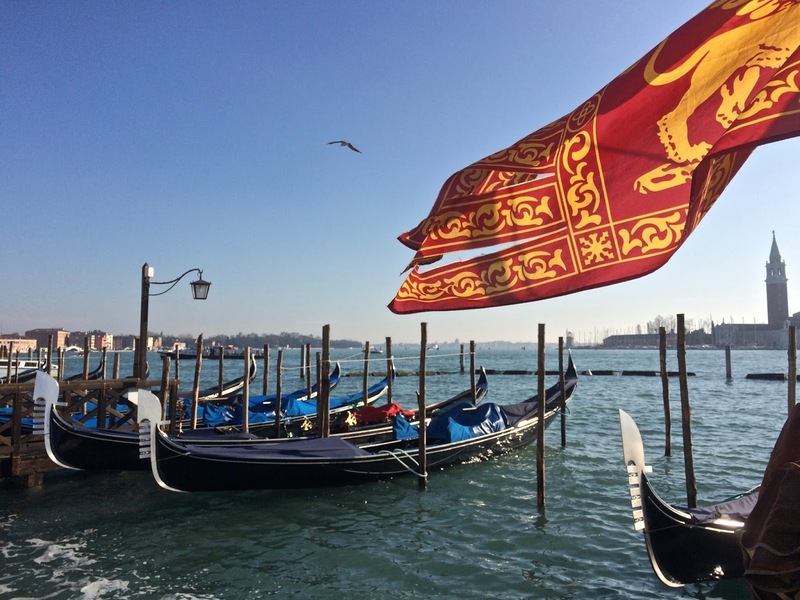 If you are wondering on how to get to Italy and Rome, then visit Omio here. They are a great starting point for travel and can inform you what mode of transport is best for your needs.